New Orleans, LA- The 32nd Annual French Quarter Festival presented by Chevron is April 9th-April 12th, 2015! Locals and tourism officials call French Quarter Festival &apos;the kickoff to festival season in New Orleans.&apos; What started as a neighborhood festival and &apos;locals&apos; event&apos; has grown into the largest showcase of Louisiana music and food in the world, with an economic impact of over $251 million. Last year, Huffington Post named French Quarter Festival the "one thing to do in Louisiana." 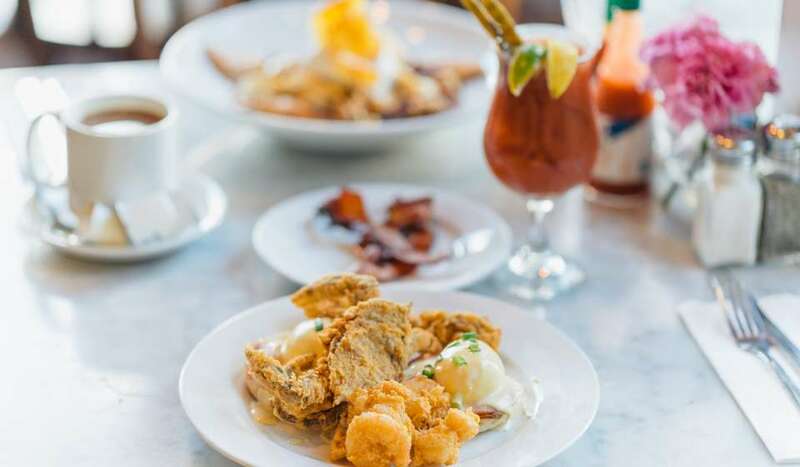 In 2015, attendees can look forward to food from some of New Orleans&apos; finest restaurants at &apos;The World&apos;s Largest Jazz Brunch&apos;, performances from over 1,600 world class, local musicians, and an immersion into a unique cultural experience that cannot be replicated anywhere. Allen Toussaint is one of the most influential figures in New Orleans R&B. He was inducted into the Rock and Roll Hall of Fame in 1998, the Louisiana Music Hall of Fame in 2009, and the Blues Hall of Fame in 2011.The celebrated songwriter, record producer, and musician returns to French Quarter Festival for the first time since 1998. Allen Toussaint will perform on the riverfront Abita Stage on Locals&apos; Day, Thursday, April 9th at 3:45 p.m. In what promises to be an incredible day of music, Mr. Toussaint will perform after the Grammy award-winning Rebirth Brass Band and before the New Orleans Jazz Orchestra with very special guests. Year after year, French Quarter Festival is voted &apos;locals&apos; favorite&apos; while also attracting a tremendous out-of-town audience. A huge part of the appeal is that attendees get a true and authentic New Orleans experience - a broad range of Louisiana artists and a diverse variety of musical styles and genres. Since 1984, French Quarter Festival has been committed to featuring New Orleans&apos; finest artists every day of the festival, on stages all over the French Quarter. The tradition grows in 2015, when French Quarter Festivals, Inc. (FQFI) unveils two new stages and expands its footprint and musical lineup. The new Outlet Collection at Riverwalk Spanish Plaza stage sponsored by The Outlet Collection at Riverwalk and Harrah&apos;s New Orleans will take the music across Canal Street with three days of programming. The new Omni Royal Orleans stage located at 500 Royal St. will bring more traditional jazz to the street with performances on Saturday and Sunday. Visit our website for the complete 2015 lineup, which includes over a dozen new acts. The 2015 French Quarter Festival will feature over 1,600 local artists. Festival organizers remain committed to growing the Musician Sponsorship Program; every dollar donated to the fund goes directly to the artists. In 2014, a total of over 250 individuals, foundations, and businesses signed up to support local musicians by &apos;adopting an artist.&apos; Sponsors come from all over the United States - from California to Maryland - and are helping to keep French Quarter Festival free for the community. Musician sponsor Shelby Russ, President and CEO of AOS Solutions, calls sponsorship a way to enrich quality of life in New Orleans. "French Quarter Fest is one the quintessential celebrations of our abundance of artists in New Orleans. We believe the art that all of those talented individuals produce is the single most important driver of quality of life in this city. AOS has a long-standing commitment to reinvest in the community in which our employees and clients live. We are proud to give our sponsorship and our thanks to Irma Thomas and the entire French Quarter Fest team for enriching our home and our lives." The Festival is still seeking 2015 sponsorships. Contact Georgia Rhody at (504) 522-5730 or email georgia@fqfi.org for more information. The New Orleans Jazz Orchestra (NOJO) will have an unprecedented residency at French Quarter Festival celebrating the opening of their new home, the New Orleans Jazz Market, on Oretha Castle Haley Boulevard. The residency will consist of four concerts during the 2015 French Quarter Festival. Each performance will feature a completely different music program and guest artists backed up by NOJO under the direction of Irvin Mayfield: Thursday, April 9th Irvin Mayfield and NOJO featuring the music of Stevie Wonder, The Beatles, and The Grateful Dead; Friday, April 10th Irvin Mayfield and NOJO featuring the music of Led Zepplin, Nirvana, and Queen; Saturday, April 11th Irvin Mayfield and NOJO perform children&apos;s songs and interact with young audiences; Sunday, April 12th The New Orleans Songbook: Featuring Irvin Mayfield, NOJO, and special guests. All aboard for New Orleans&apos; funkiest raffle! The French Quarter Festival Kermit Ruffins Experience will give one lucky winner the chance to party with Kermit before and during festival. Each year, sponsor Harrelson Trumpets builds and donates a one-of-a-kind Satchmo Trumpet. 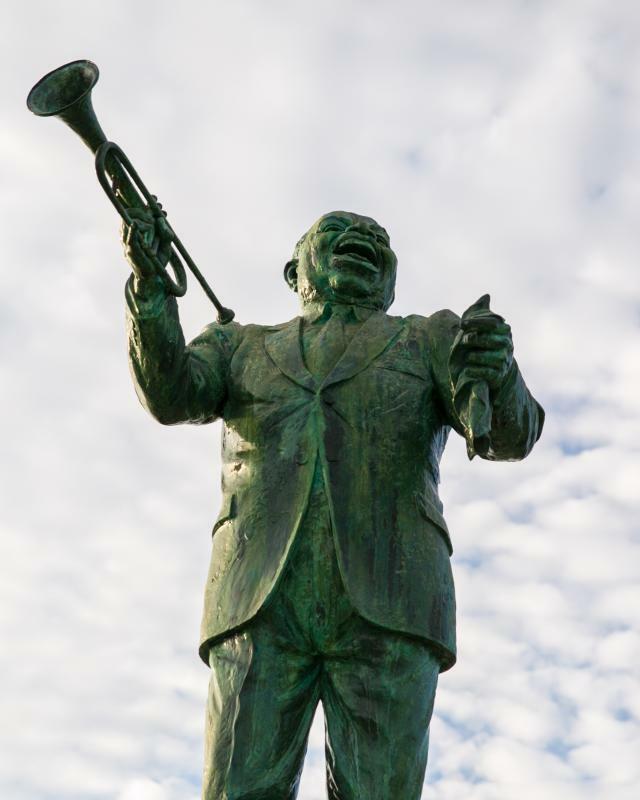 The 2015 Satchmo Trumpet will be presented to longtime festival friend and artist Kermit Ruffins during his Sunday, April 12th French Quarter Festival set. The raffle winner will have lunch with Kermit, Jason Harrelson (founder, Harrelson Trumpets), and a friend at Kermit&apos;s Treme Mother-in-Law Lounge; ride in a limo to the festival; sit on stage with three friends and complimentary refreshments during Kermit&apos;s set; receive a framed, autographed photo of Kermit, Jason, the Satchmo Trumpet, and themselves on stage at French Quarter Festival; and finally, take home an autographed copy of Kermit&apos;s CD releases,We Partyin&apos; Traditional Style and #ImSoNewOrleans. Raffle chances are one ticket for $20 and two tickets for $30 and may be purchased online at www.fqfi.org. All proceeds will benefit the non-profit French Quarter Festivals, Inc.
Thursday April 9th, the French Quarter Festival Opening Night Gala benefiting the Roots of Music will return to Antoine&apos;s Restaurant. 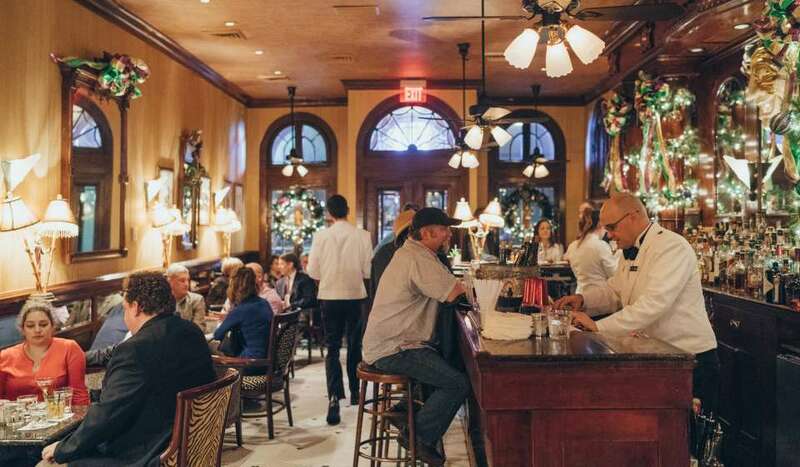 Established in 1840, Antoine&apos;s, the country&apos;s oldest family-run restaurant, celebrates its 175th anniversary in 2015. During the Gala, guests will enjoy the original Main Dining Room, the Mardi Gras-themed Rex and Proteus Rooms, Escargot Room, the Mystery Room, 1840 Room, the Last Room (or Tabasco Room) and the Wine Cellar, which holds approximately 25,000 bottles when fully stocked. 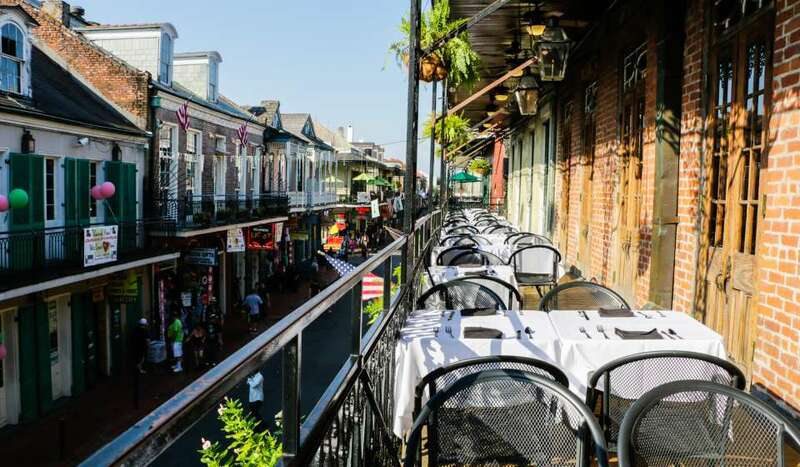 French Quarter Festival is the only time of the year when Antoine&apos;s allows a non-profit community organization to &apos;take over&apos; - celebrating the opening of French Quarter Festival at this grand Gala event. Charmaine Neville with special guests will perform at the gala. Guitarist John Rankin will perform at the patron party. Tickets are now on sale and can be purchased online at www.fqfi.org or by calling 504-227-3124. Patron tickets are $250 and Gala tickets are $125 ($150 beginning April 1st). For the 2015 poster, renowned local mixed-media artist, Tami Curtis, draws inspiration from New Orleans musical icon, Little Freddie King. Little Freddie King hails from McComb, Mississippi and has a musical career that spans the decades. In the 60&apos;s Freddie played with the likes of Babe Stoval, Polka Dot Slim, Guitar Grady, Guitar Ray, Snooks Eaglin, Billy Tate, Harmonica Williams, Boogie Bill Webb, Rev Charles Jacobs (his cousin), Harmonica Slim and Eddie Lang. His 1970 recording, Harmonica Williams and Little Freddie King, is believed to be the first electric blues album recorded in New Orleans. Now into his 70&apos;s, Little Freddie has yet to slow down; since 2000 he has performed at the New Orleans Jazz and Heritage Festival, French Quarter Festival, Montreal Jazz Festival, Ottawa Blues Festival, as well as nearly a dozen European festivals. The musician has just released a new album, Messin&apos; Around Tha Living Room. French Quarter Festival is thrilled to honor him with this vibrant poster. Once again French Quarter Festival also features a special limited-edition poster created by New Orleans&apos; most well-known French folk-art painter, Simon Hardeveld. Since the early 2000s, Hardeveld has entertained many with his hilarious and colorful paintings that hang in New Orleans restaurants like Boulangerie, Chickie Wah Wah, Lola&apos;s, and Joey K&apos;s. His pieces whimsically embody the unique culture of this spectacular city. Last year for the 2014 Satchmo SummerFest, French Quarter Festivals, Inc. partnered with Fleurty Girl to create custom-designed, festival-inspired shirts. The partnership continues in 2015 with the Kermit Ruffins unisex tee, which will sell for $25. All proceeds help fund the free, community event. In a city famous for its wealth of delicious and unique traditional food, French Quarter Festival gives attendees a taste of the best of the best at the &apos;The World&apos;s Largest Jazz Brunch.&apos; Over 60 vendors feature classic New Orleans dishes as well as cuisine from the finest restaurants in the region. 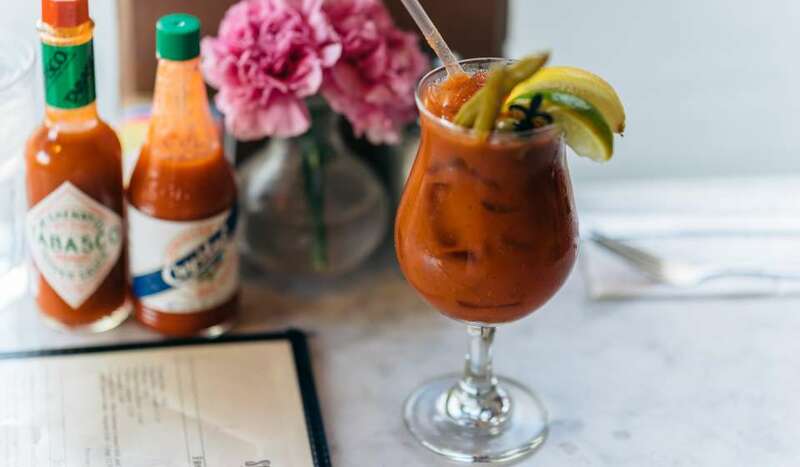 A number of restaurants have been with the festival since its beginning in 1984, and have been great partners for 30 years: Pat O&apos;Brien&apos;s, Trey Yuen, Tujague&apos;s, Vaucresson Sausage, Desire Oyster Bar, and Court of Two Sisters. Other festival favorites return for 2015, including Galatoire&apos;s, Muriel&apos;s, Antoine&apos;s, Praline Connection, Dickie Brennan&apos;s, Restaurant R&apos;evolution, Bennachin, Love at First Bite, GW Fins, House of Blues, Jacques-Imo&apos;s, K-Paul&apos;s, Mrs. Wheat&apos;s, Lasyone&apos;s Meat Pies, Ruth&apos;s Chris Steak House, Three Muses, and more. A full list of restaurants, including new vendors for 2015, will be released in March. Once again festival attendees will have access to free pedicabs, courtesy of Chevron. The festival app, sponsored by GE Capital will also return! Visit our Special Events page for details about the French Quarter Festival Second-Line Kickoff Parade; Let them Talk: Conversations about Louisiana Music;Film Fest at French Quarter Festival presented by Timecode: NOLA and more. The historic Omni Royal Orleans, located in the heart of the neighborhood, is the official hotel of French Quarter Festival and Satchmo SummerFest. The Omni Royal Orleans offers graceful elegance and has received the AAA Four-Diamond luxury award for the past 27 years. Located on the most fashionable corner, St. Louis at Royal, the hotel is steps away from our festival and the best New Orleans has to offer. We are proud to count them among our growing number of supporters and thank all of our generous sponsors!